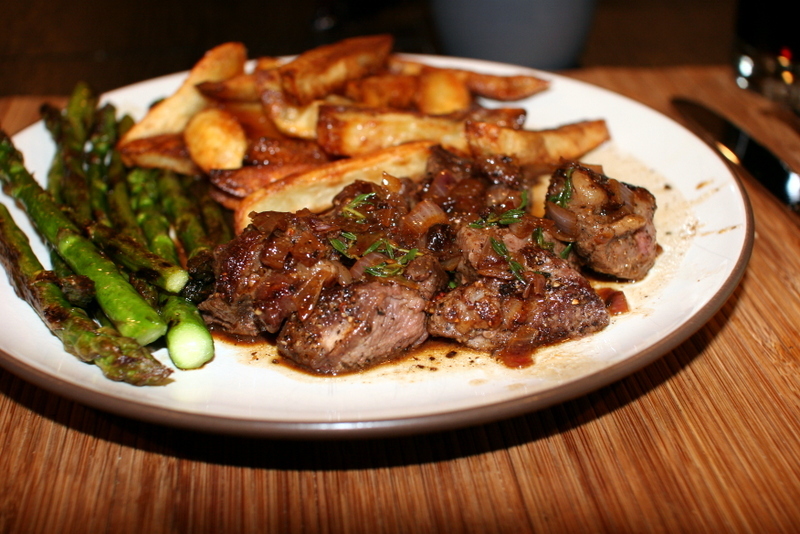 I made this yummy, surprisingly straightforward dinner a while back (and added some asparagus to the mix). 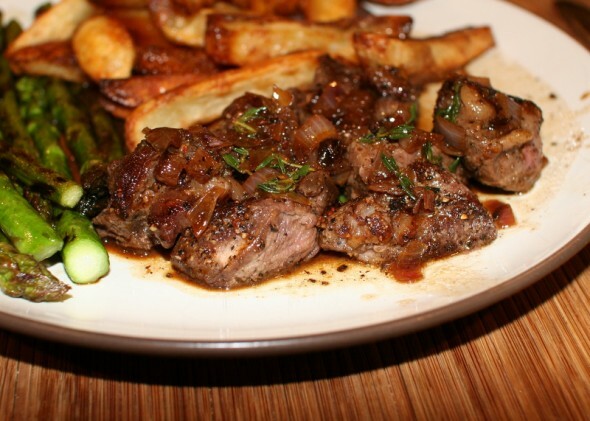 I love Steak au Poivre, or really anything peppery. The tips were nice for a weeknight when you don’t necessarily want an entire steak. I bought one nice sirloin steak, and it was more than enough to feed us both. The steak was the easy part; the oven fries were more labor intensive. I started those waaaay before the steak. In the end, mine probably could have come out of the oven a little sooner. But, the fries weren’t fried, and overall this was pretty great. Both recipes are from Cook’s Country. These are the original recipes below, which serve 4. Pat steak tips dry with paper towels. Rub all over with pepper and season with salt. Heat oil in large skillet over medium-high heat until just smoking. 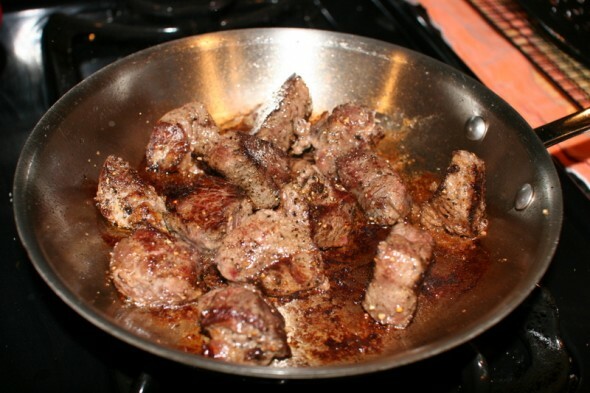 Cook steak tips until browned all over and cooked to desired doneness, 6 to 10 minutes. Transfer to platter and tent with foil. 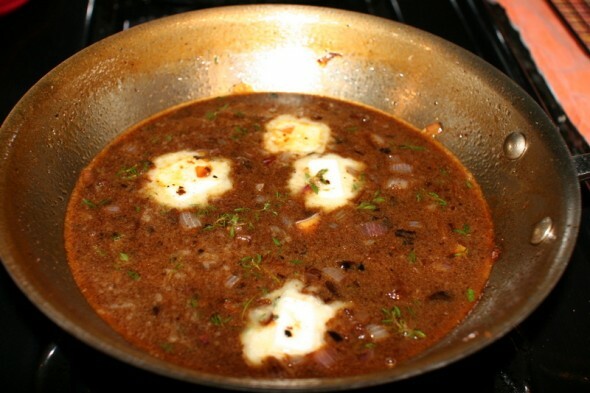 Add 1 tablespoon butter and shallot to empty skillet and cook until softened, about 1 minute. Add wine, broth, and thyme to skillet. 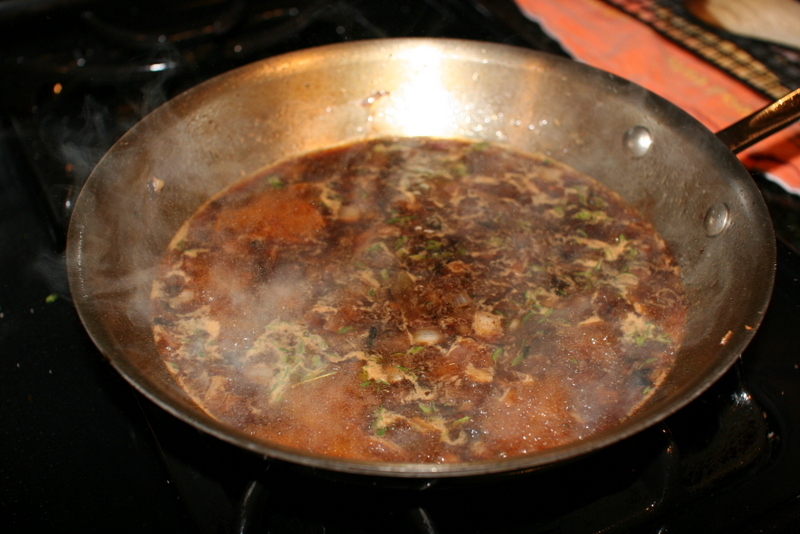 Simmer, scraping up any browned bits, until slightly thickened, 5 to 7 minutes. 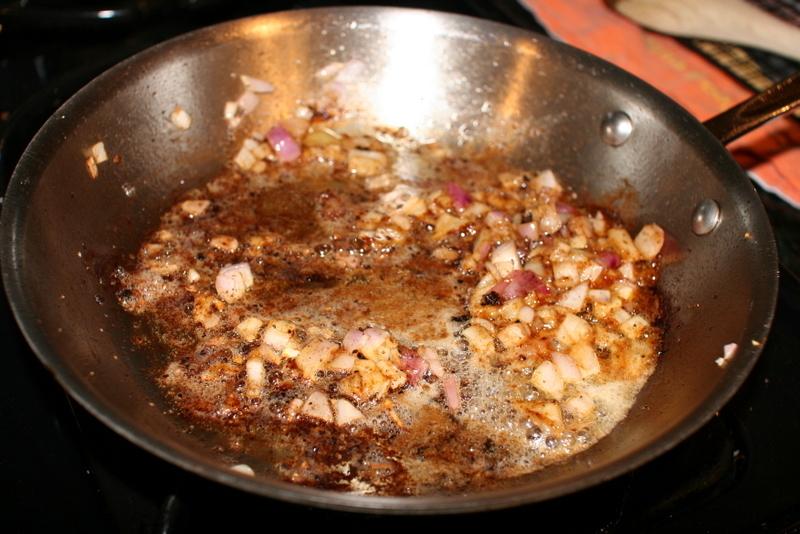 Off heat, whisk in any accumulated steak juices and remaining butter and season with salt. Spoon sauce over steaks. Serve. 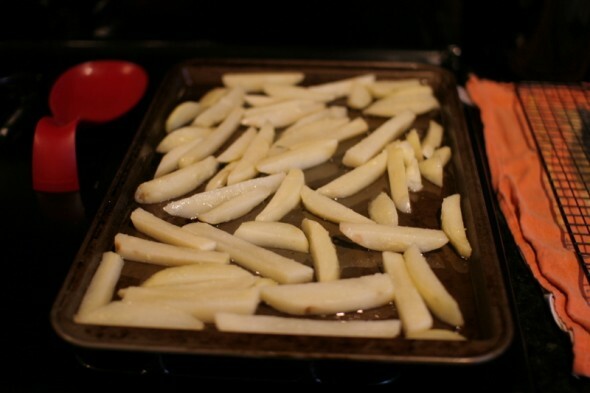 MICROWAVE POTATOES Adjust oven rack to lowest position and heat oven to 450 degrees. 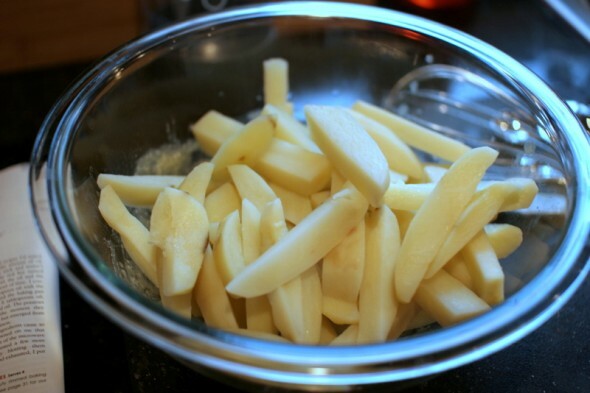 Place potatoes in bowl, wrap tightly with plastic, and microwave until translucent around edges, 3 to 5 minutes, shaking bowl to redistribute potatoes halfway through cooking. 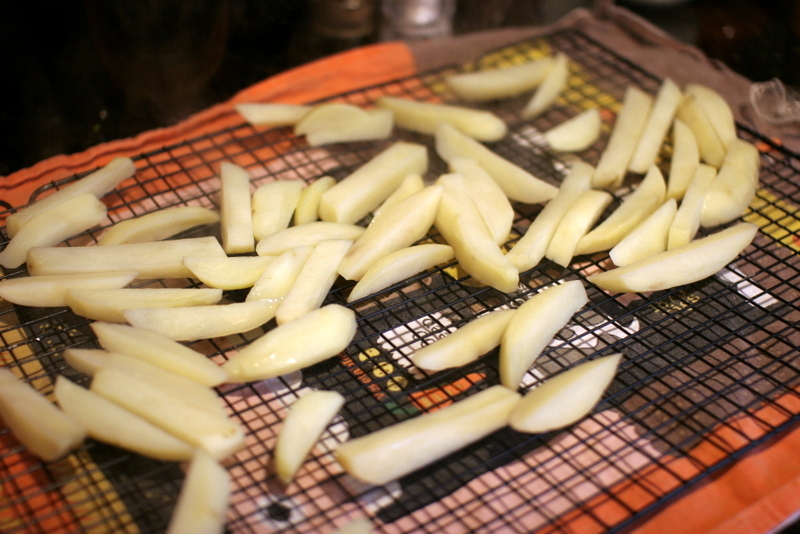 Transfer potatoes to cooling rack and thoroughly blot fry with paper towels. HEAT OIL Coat rimmed baking sheet with 5 tablespoons oil. 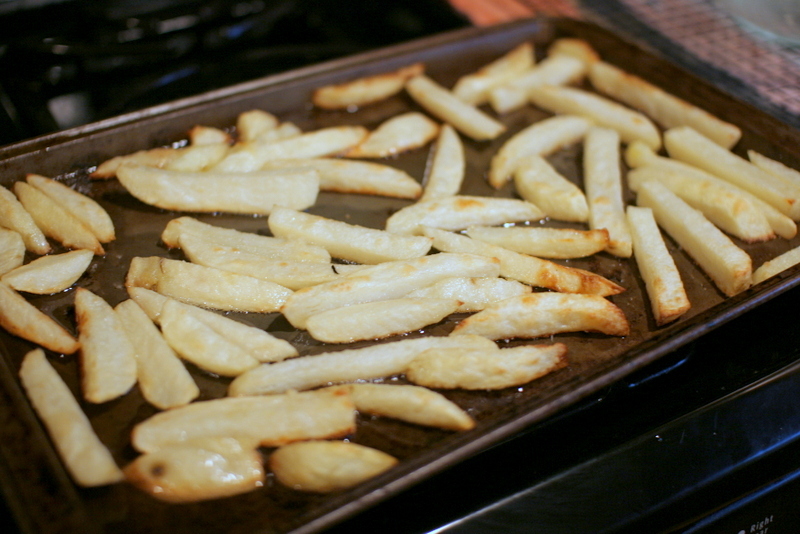 Transfer to oven and heat until just smoking, 5 to 7 minutes. 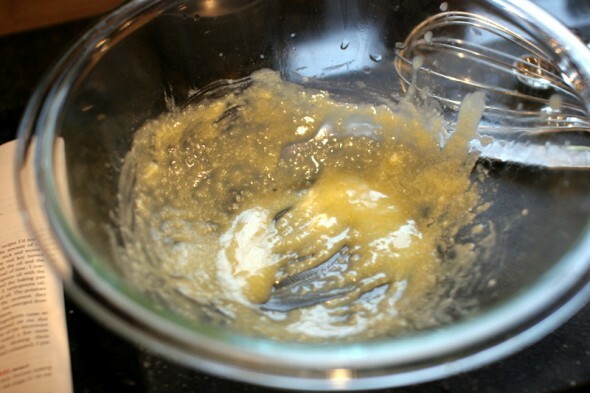 Meanwhile, whisk remaining oil, cornstarch, and salt in large bowl. 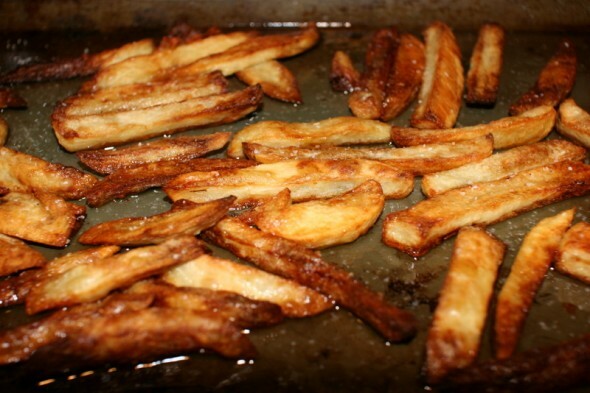 Add potatoes to bowl and toss to coat. BAKE POTATOES Arrange in a single layer on hot baking sheet and bake until deep golden brown and crisp, 25 to 35 minutes, flipping potatoes half-way through cooking time. Transfer to paper towel-lined plate and blot with additional paper towels. Serve. Made for the family today, came out delicious and everyone enjoyed it. Oooh, I’m glad you liked it!